Grosvenor Casinos’ GUKPT tour bus is heading to the most northern stop on the 2019 line up. It’s time for Grosvenor Casino Maybury, Edinburgh to play host for a week as the GUKPT pulls in to the stunning city for the £100,000 Guaranteed Main Event and more. Last year GUKPT Edinburgh welcomed 258 entries to the £500+60 GUKPT Main Event and it was financial trader Garry Stevens Smith who went home to Warrington with the £36,000 first prize and the coveted trophy. Garry had only been playing for a couple years, making the 2018 GUKPT Edinburgh title easily the biggest poker accomplishment in his poker playing career. Will experience prevail in 2019 or will history repeat itself with someone new to the game clinching the title? Poker events like this give everyone the chance to take home big prizes and if there’s one thing for certain, you have to be in it to win it! To that end, Grosvenor Casinos and Grosvenorpoker.com are giving their customers plenty of opportunities to win their £560 seat for as little as 25p. New to 2019 and making its Edinburgh debut will be the £2,500 added cash game promotion taking place next Wednesday. Over a 10 hour period £250 will be rewarded to the highest ranked hand each hour. 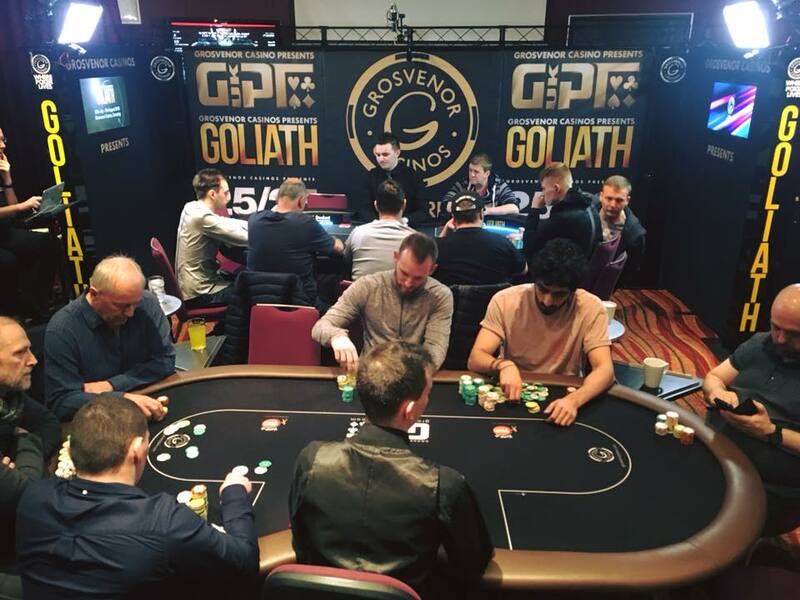 This promotion has been an enormous success so far with players coming out in force to both the GUKPT London and Manchester legs. Grosvenor Casinos looks forward to welcoming all of Edinburgh’s regular cash game players as well as many new faces to the tables next week to take part. GUKPT Edinburgh officially kicks off online this coming Saturday with Day1A of the £10,000 GUKPT Mini Main. This enables customers to play the first day of the popular £100+15 buy-in event all from the comfort of their own home before moving on to Grosvenor Casino Maybury, Edinburgh for Day 2. The GUKPT then officially kicks off in the cardroom with Day1B taking place this Sunday at 3pm. Action continues throughout the week with the £100,000 Guaranteed GUKPT Main Event kicking off on the Thursday, playing right through to Sunday.